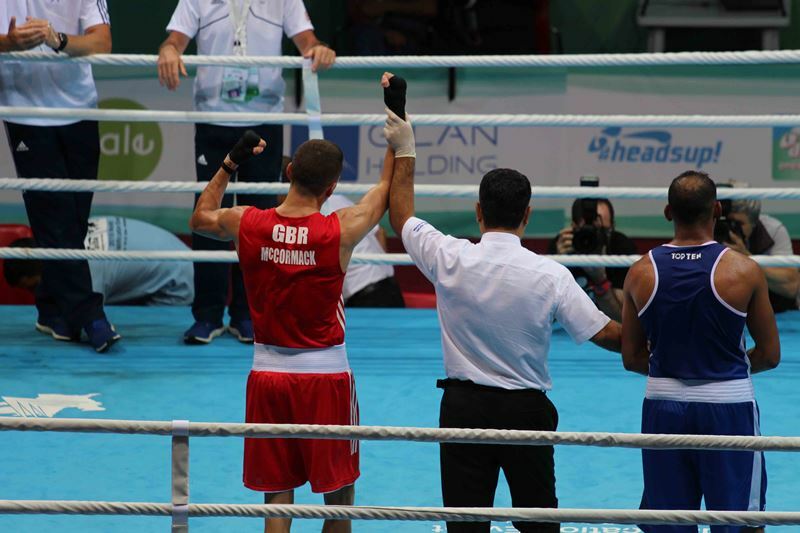 After confirming his place on Team GB for the Rio 2016 Olympic Games, Pat McCormack finished his AIBA World Olympic Qualification Event in style, winning a gold medal with a unanimous win over Richardson Hitchins of Haiti in the final. It was the final of a string of flawless performances from Pat, who won every round of each of his five bouts on on every judge’s scorecard during the competiiton. After a close bout, Josh Kelly was unable to get past Souleymane Cissokho of France in his semi-final on Friday, losing by unanimous decision, but Josh also returns from Baku with his place at Rio 2016 confirmed.